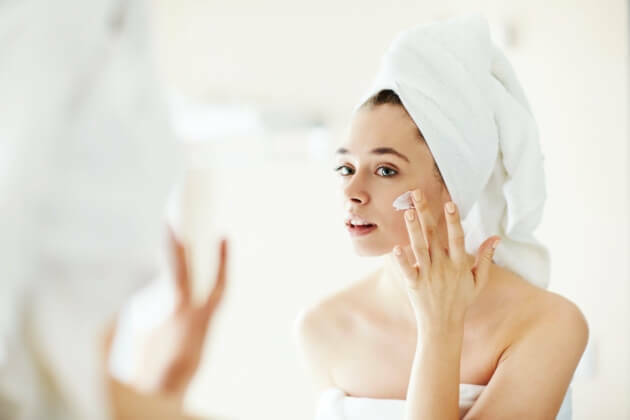 Synthetic ingredients used in the manufacture of cosmetics contain preservatives, perfumes, emulsifiers and other synthetic ingredients that may irritate the skin or even cause allergic reactions. Based on our previous experience with natural ingredients such as herbs, vegetables, fruits, dairy products, beeswax or natural spring water, we know that they have far less unfavourable or harmful side effects than artificial, synthetic ingredients made in the lab. HillVital Cosmetics is made exclusively from pure, natural ingredients such as herbs, plants, minerals and natural essential oils. Herbal products for radiant skin. Whether it’s dryness, excessive oil, acne, or wrinkles you are dealing with, our herbal products can help you regain healthy and glowing skin. Cream for women for mimic wrinkles and age spots Pigment spots and wrinkles make countless ..
An anti wrinkle cream for pigment spots and mimic wrinkles. 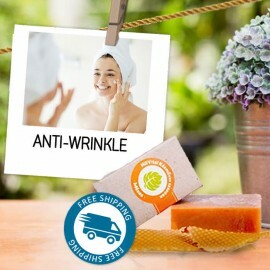 We offer you a natural solution that helps prevent wrinkle formation and also reduce skin’s spots. Smooths and nourishes the skin. 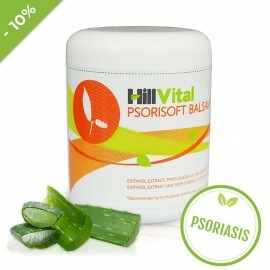 What it is Psorisoft works to replenish lost oils and moisture from the skin and helps alleviate ..
Balsam for psoriasis. 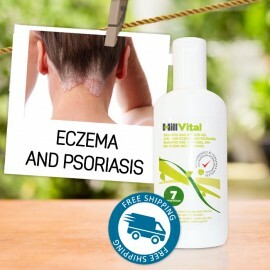 Effective ingredients with 12 natural herbal extracts help relieve itching and alleviate psoriasis symptoms. Psorisoft helps soothe the skin and provide it with natural grease. WHAT TO EXPECT FROM DERMASOFT CREAM Instant and lasting itch relief A reduction in red..
For eczema, dermatitis, herpes zoster, and pimples. Effective ingredients together with 11 natural herbal extracts soothe the skin and help treat eczema, rosacea, dermatitis and pimples. 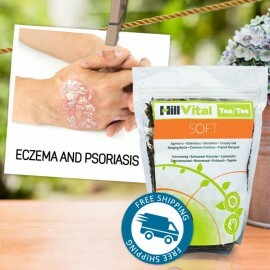 HillVital Tea Soft - Eczema and psoriasis Our herbal tea for psoriasis and eczema contains seve.. Tea for eczema and psoriasis. Natural composition of 7 properly selected herbs helps start the process of natural regeneration of the skin from within. Made of the finest herbs that nature offers. Anti-wrinkle Honey Soap After delicate washing of your skin, you will smell a pleasant sweet ..
Let us introduce you to our unique skin “rejuvenator”. Treat your skin to luxury and pampering! Our soap contains honey which in combination with goat’s milk and essential oils tightens and hydrates the skin. We can't get over the healing power of herbs! 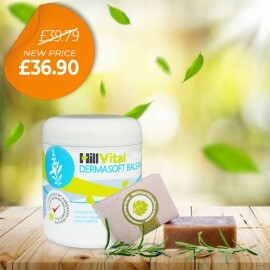 HillVital Hydrating Soap is made of Five Medici..
Is your skin oily? 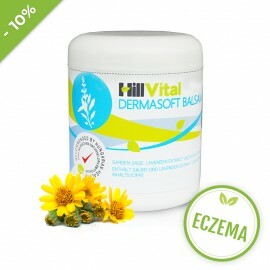 Do you suffer from eczema or scales? Do you have a problem with acne? Is your skin dry? 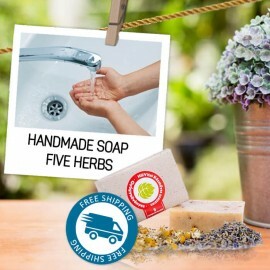 Natural soap made of 5 medicinal herbs that heal, cleanse, hydrate and reduce inflammation. Nettle Soap This soap is suitable for all skin types, in particular, greasy and acneic skin. .. Soap for greasy skin, hair and acne! 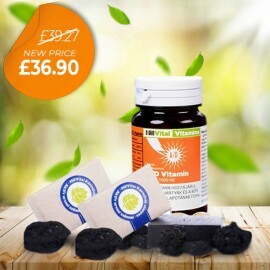 Powerful composition containing nettle, has detoxifying and antioxidant effects. 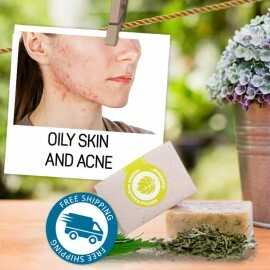 Nettle has strong therapeutic and antiseptic effects and fights greasy skin and acne! 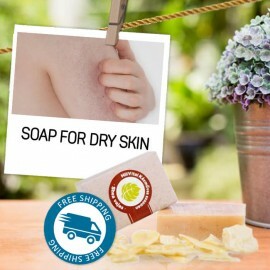 Shea Butter Soap When it comes to skin care, shea butter has very few rivals. Shea butter p..
Shea Butter soap for dry skin. Shea butter is full of vitamins A, E and F, and has hydrating and regenerative properties. An ideal antidote for dry and sensitive skin or brittle hair. Shower gel and shampoo for eczema and psoriasis For daily use to help soothe a dry and it..
An effective shower gel and shampoo for eczema, psoriasis and seborrhea. Get rid of harmful chemicals and try an incredible combination of special herbs. It doesn’t irritate the skin but helps get rid of itching. 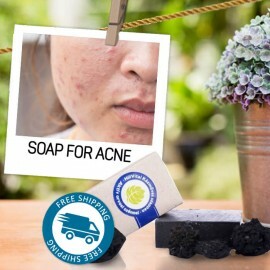 Soap with activated medical charcoal - a miracle when it comes to soothing and cleansing the skin! ..
Natural therapy against acne. Acneic skin full of pimples requires proper treatment that does not burden the skin. Our black soaps full of activated charcoal may exceed all your expectations. Sea Salt Soap Turn to the strength of sea salt that is filled with minerals and vitamins. Our.. 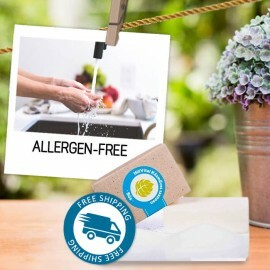 Soap with sea salt for allergic people gently cleanses and has antiseptic detoxifying effects. It treats even the most sensitive skin as it does not contain essential oils or allergens.